Restaurant El Mar II offers one of the best views in Tequila Jalisco Mexico. The best view of the Agave landscape and the city of Tequila has the restaurant the Sea II. On the one hand its guests enjoy an incredible view of the canyon molded by the Santiago River, in the middle you have the view of the extensive fields of agave, and at the other end you see a few kilometers the Magic Town at the foot of the imposing volcano Of Tequila. The specialty of this rustic restaurant – El Mar II – takes it in its name, seafood. 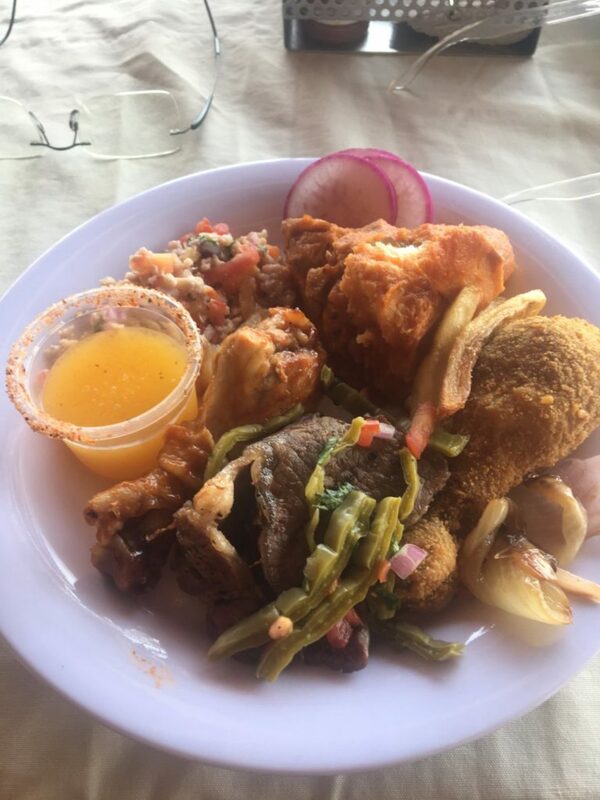 In addition to a rich tossed fish they also offer you fine cuts, chicken and fish salads (Ceviche) as part of the buffet. An exotic dish you can order is a pineapple staffed with shrimp and cheese.